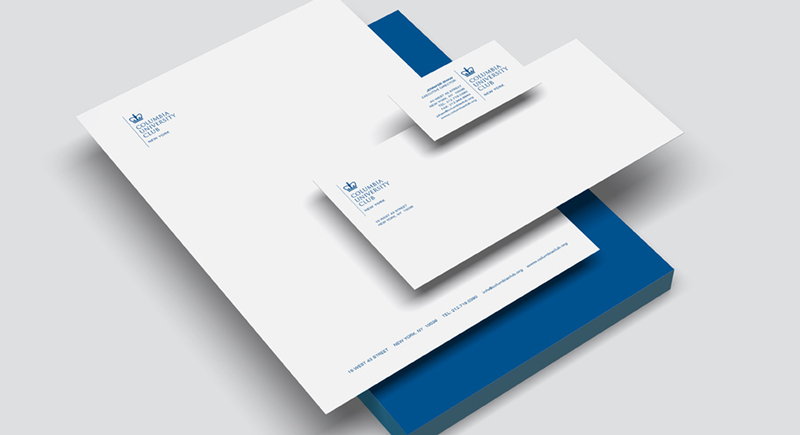 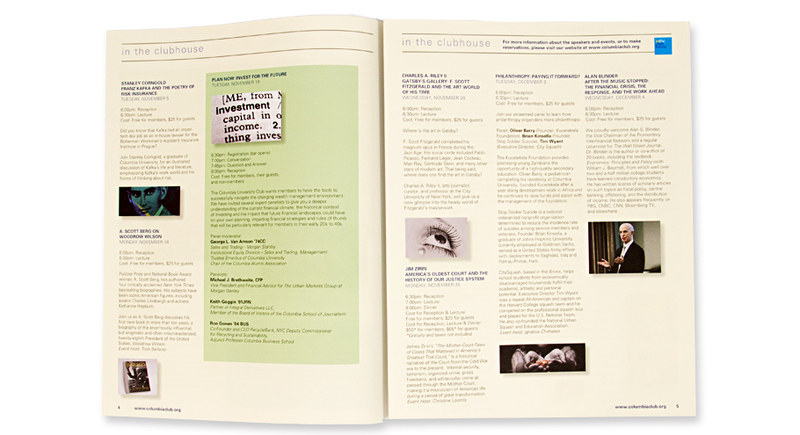 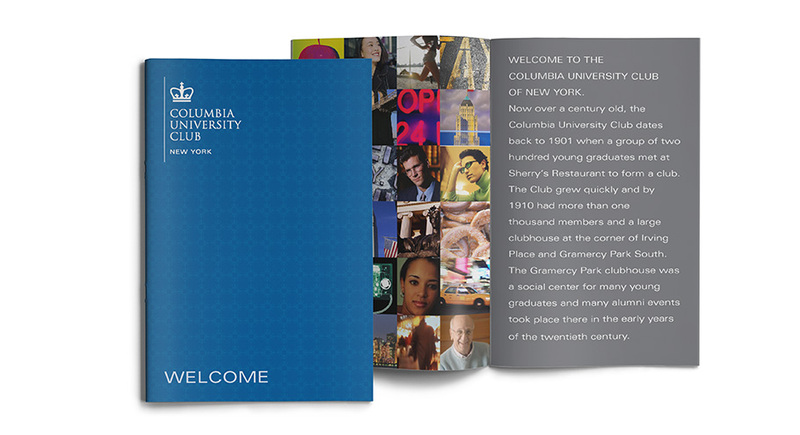 Branding, identity, print and digital collateral for a prestigious Ivy League alumni association. 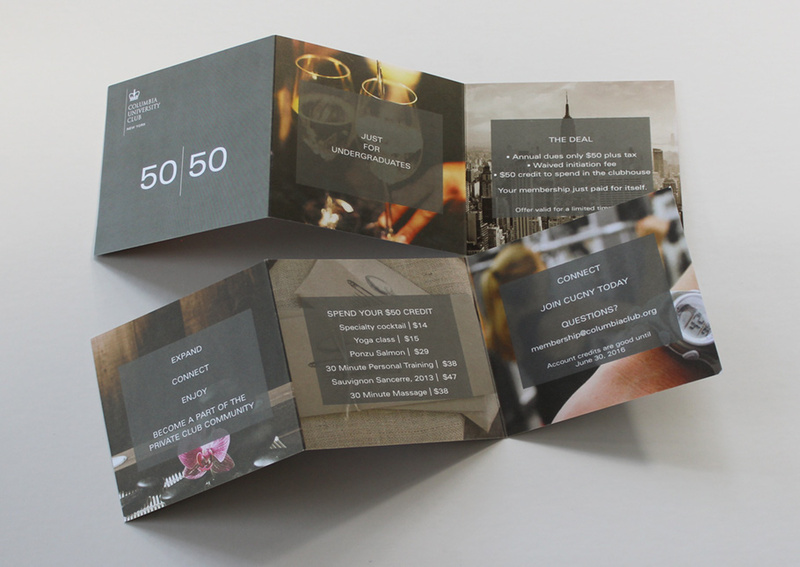 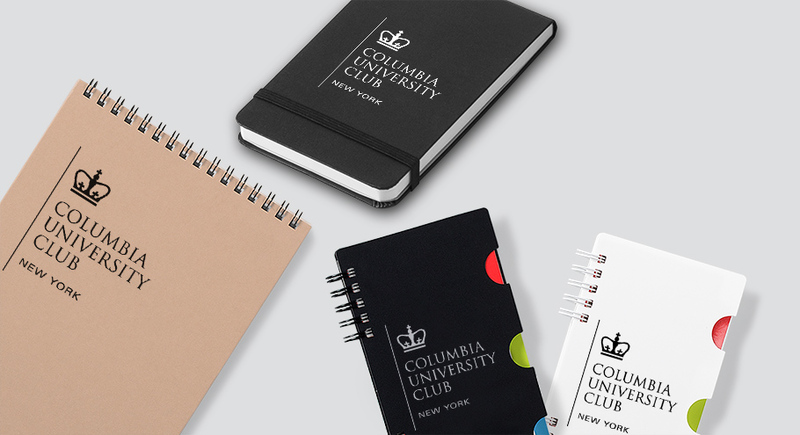 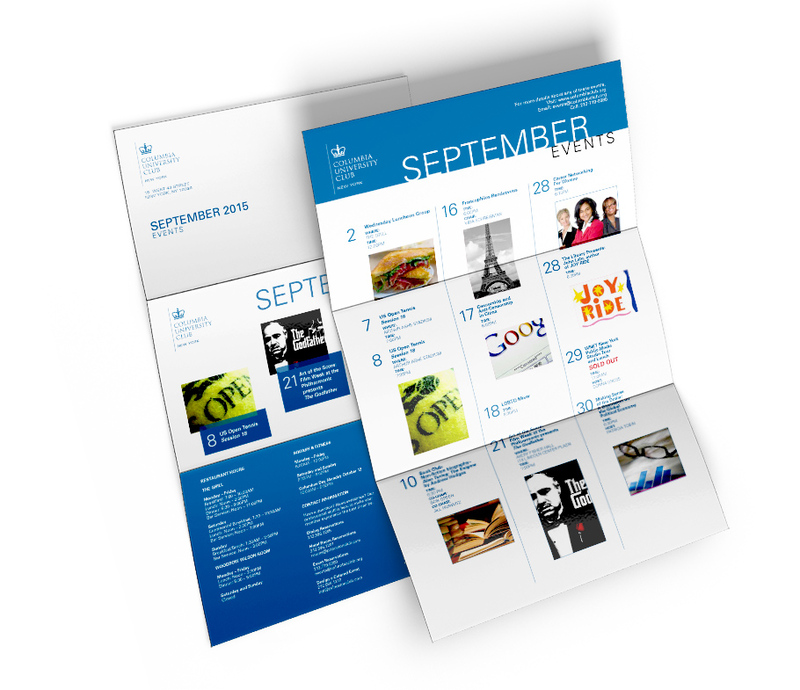 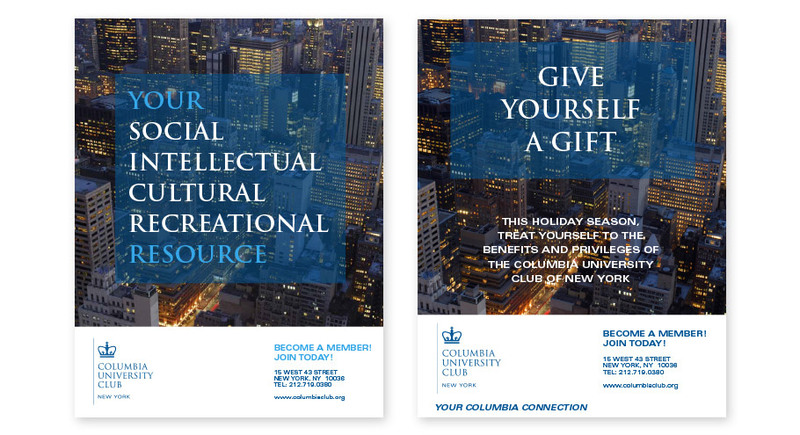 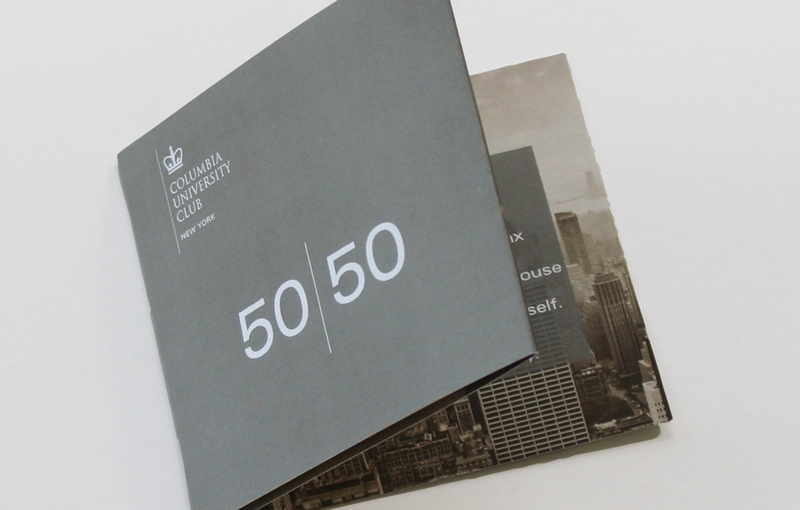 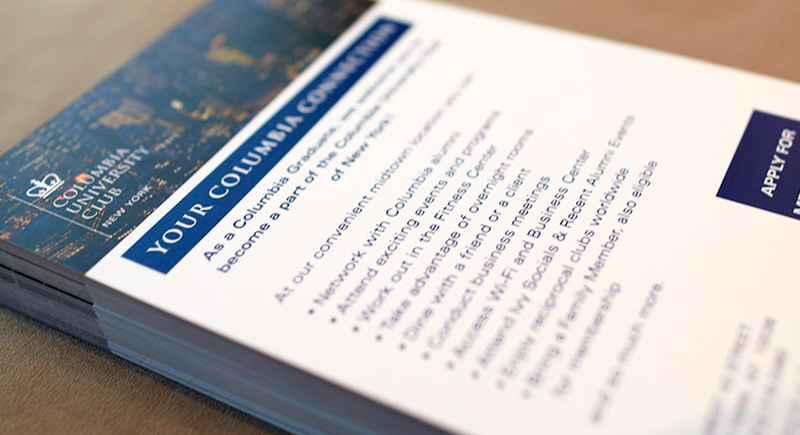 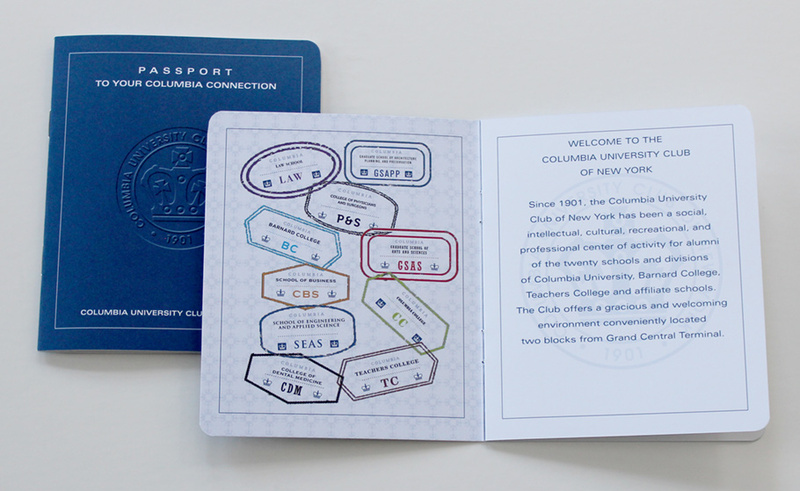 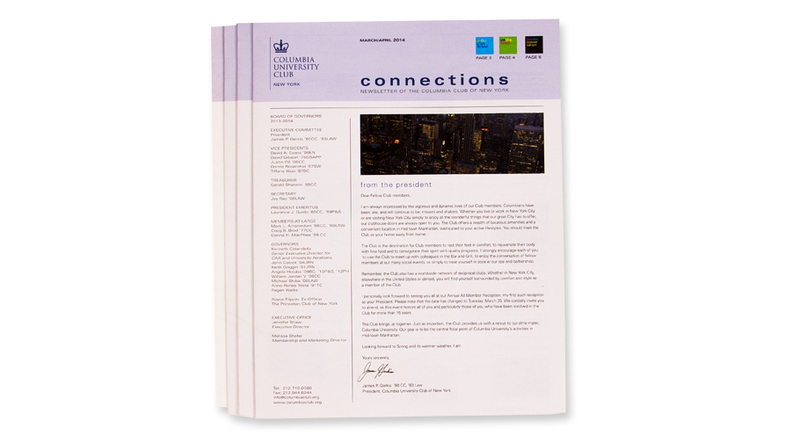 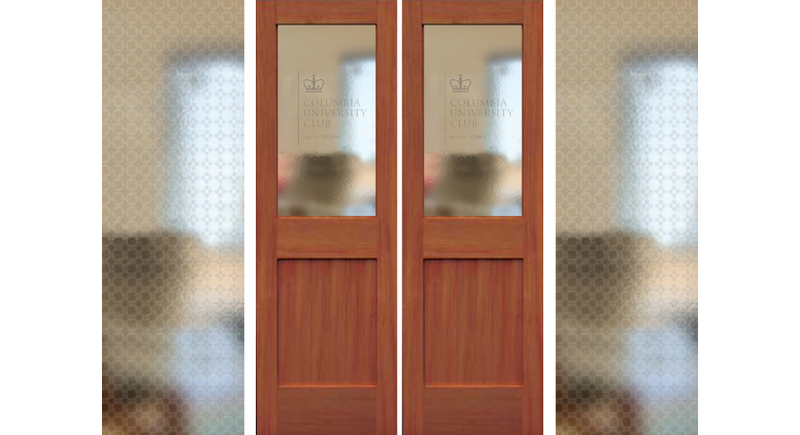 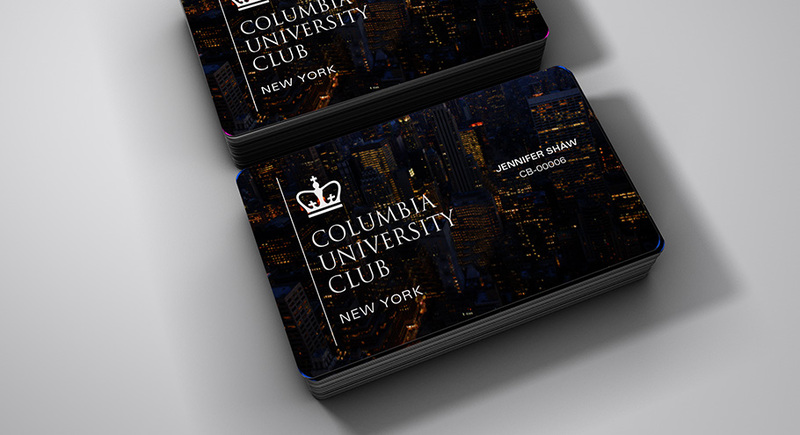 The Columbia University Club of New York, a social and cultural center for alumni, students, faculty, administration, and staff of Columbia University, Teachers College, and Barnard College, wanted to rebrand itself as a entity distinct from but still connected to the University. 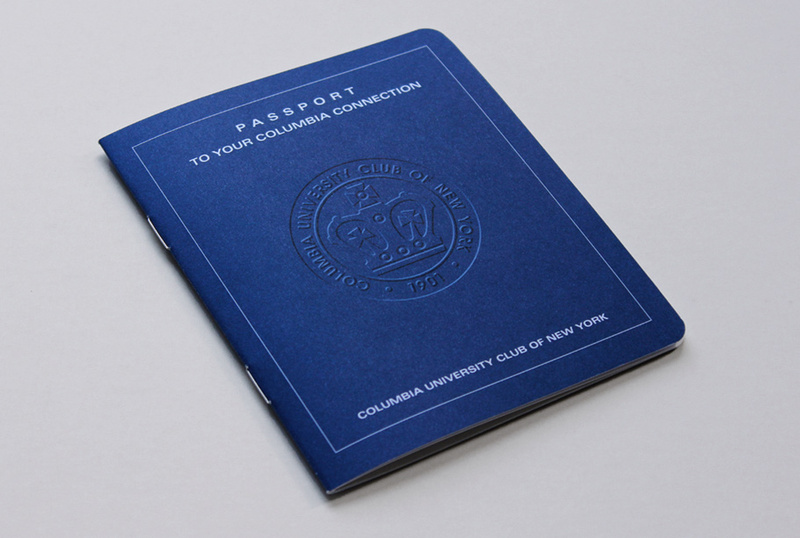 We created a unique new identity using visual elements which pay homage to the Club’s history of over 100 years and reference the Columbia University brand. 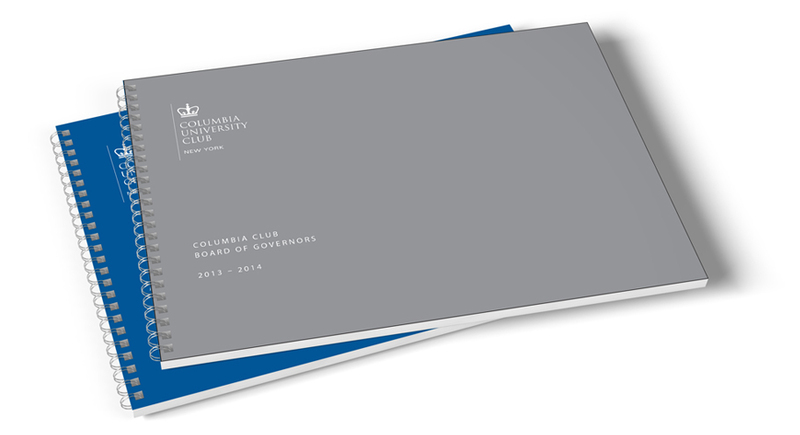 Since the new identity launched in 2012, membership has more than doubled.